The Washington State Liquor and Cannabis Board (WSLCB) determines and codifies the Action Limits for pesticide residues on finished cannabis products. 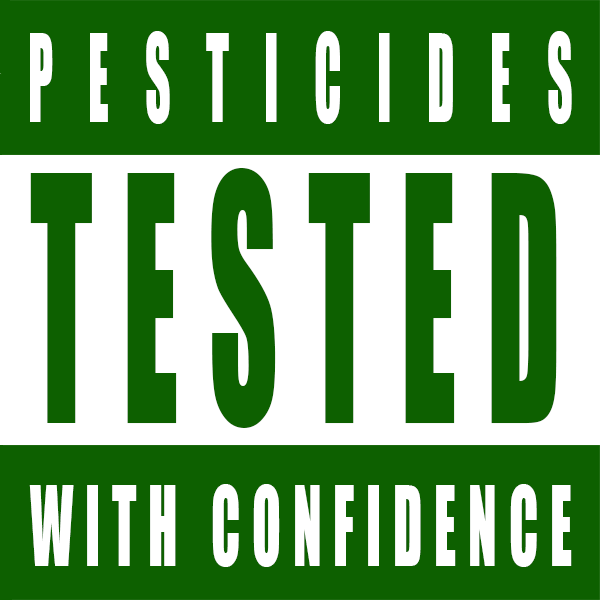 When any single pesticide compound is detected above the limit in a cannabis product by a laboratory accredited by the WSLCB, it is considered a “fail” and the corresponding cannabis lot or batch may be subject to further scrutiny including recall and destruction of product. 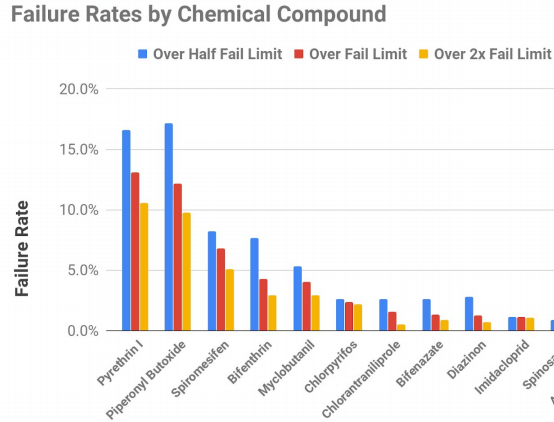 We would like to share a brief summary of pesticide statistics from our lab, which is one of three laboratories accredited for pesticide testing by the WSLCB. Over 1,000 samples of Cannabis Flower, Cannabis Trim, and Cannabis Concentrate were analyzed between June of 2016 and October of 2018. These samples were voluntarily submitted to the lab by licensed cannabis producers and processors (“licensees”). There is no legal requirement for this testing in Washington state, except in rare cases where the licensee is seeking “endorsement” by the Washington State Department of Health. For further context, see our previous presentation from November 2017. The data presented in the above paper is intended to follow up on and supplement the data from that presentation, over one year ago. Please note that the data is anonymized to protect the identities of the licensees.